This module provides an introduction to industrial and organizational (I/O) psychology. I/O psychology is an area of psychology that specializes in the scientific study of behavior in organizational settings and the application of psychology to understand work behavior. The U.S. Department of Labor estimates that I/O psychology, as a field, will grow 26% by the year 2018. I/O psychologists typically have advanced degrees such as a Ph.D. or master’s degree and may work in academic, consulting, government, military, or private for-profit and not-for-profit organizational settings. Depending on the state in which they work, I/O psychologists may be licensed. They might ask and answer questions such as “What makes people happy at work?” “What motivates employees at work?” “What types of leadership styles result in better performance of employees?” “Who are the best applicants to hire for a job?” One hallmark of I/O psychology is its basis in data and evidence to answer such questions, and I/O psychology is based on the scientist-practitioner model. The key individuals and studies in the history of I/O psychology are addressed in this module. Further, professional I/O associations are discussed, as are the key areas of competence developed in I/O master’s programs. Define industrial and organizational (I/O) psychology. Describe what an I/O psychologist does. List the professional associations of I/O psychologists. Identify major milestones in the history of I/O psychology. What is Industrial and Organizational (I/O) Psychology? Psychology as a field is composed of many different areas. When thinking of psychology, the person on the street probably imagines the clinical psychologist who studies and treats dysfunctional behavior or maybe the criminal psychologist who has become familiar due to popular TV shows such as Law & Order. I/O psychology may be underrepresented on TV, but it is a fast-growing and influential branch of psychology. What is I/O psychology? Briefly, it can be defined as the scientific study of behavior in organizational settings and the application of psychology to understand work behavior. In other words, while general psychology concerns itself with behavior of individuals in general, I/O psychology focuses on understanding employee behavior in work settings. For example, they ask questions such as: How can organizations recruit and select the people they need in order to remain productive? How can organizations assess and improve the performance of their employees? What work and non-work factors contribute to the happiness, effectiveness, and well-being of employees in the workplace? How does work influence non-work behavior and happiness? What motivates employees at work? All of these important queries fall within the domain of I/O psychology. Table 1 presents a list of tasks I/O psychologists may perform in their work. This is an extensive list, and one person will not be responsible for all these tasks. The I/O psychology field prepares and trains individuals to be more effective in performing the tasks listed in this table. At this point you may be asking yourself: Does psychology really need a special field to study work behaviors? In other words, wouldn’t the findings of general psychology be sufficient to understand how individuals behave at work? The answer is an underlined no. Employees behave differently at work compared with how they behave in general. While some fundamental principles of psychology definitely explain how employees behave at work (such as selective perception or the desire to relate to those who are similar to us), organizational settings are unique. To begin with, organizations have a hierarchy. They have job descriptions for employees. Individuals go to work not only to seek fulfillment and to remain active, but also to receive a paycheck and satisfy their financial needs. Even when they dislike their jobs, many stay and continue to work until a better alternative comes along. All these constraints suggest that how we behave at work may be somewhat different from how we would behave without these constraints. According to the U.S. Bureau of Labor Statistics, in 2011, more than 149 million individuals worked at least part time and spent many hours of the week working—see Figure 1 for a breakdown (U.S. Department of Labor, 2011). In other words, we spend a large portion of our waking hours at work. How happy we are with our jobs and our careers is a primary predictor of how happy and content we are with our lives in general (Erdogan, Bauer, Truxillo, & Mansfield, 2012). Therefore, the I/O psychology field has much to offer to individuals and organizations interested in increasing employee productivity, retention, and effectiveness while at the same time ensuring that employees are happy and healthy. It seems that I/O psychology is useful for organizations, but how is it helpful to you? Findings of I/O psychology are useful and relevant to everyone who is planning to work in an organizational setting. Note that we are not necessarily taking about a business setting. Even if you are planning to form your own band, or write a novel, or work in a not-for-profit organization, you will likely be working in, or interacting with, organizations. Understanding why people behave the way they do will be useful to you by helping you motivate and influence your coworkers and managers, communicate your message more effectively, negotiate a contract, and manage your own work life and career in a way that fits your life and career goals. I/O psychology is a scientific discipline. Similar to other scientific fields, it uses research methods and approaches, and tests hypotheses. However, I/O psychology is a social science. This means that its findings will always be less exact than in physical sciences. Physical sciences study natural matter in closed systems and in controlled conditions. Social sciences study human behavior in its natural setting, with multiple factors that can affect behavior, so their predictive ability will never be perfect. While we can expect that two hydrogen and one oxygen atom will always make water when combined, combining job satisfaction with fair treatment will not always result in high performance. There are many influences on employee behaviors at work, and how they behave depends on the person interacting with a given situation on a given day. Despite the lack of precise results, I/O psychology uses scientific principles to study organizational phenomena. Many of those who conduct these studies are located at universities, in psychology or management departments, but there are also many who work in private, government, or military organizations who conduct studies about I/O-related topics. These scholars conduct studies to understand topics such as “What makes people happy at work?” “What motivates employees at work?” “What types of leadership styles result in better performance of employees?” I/O psychology researchers tend to have a Ph.D. degree, and they develop hypotheses, find ways of reasonably testing those hypotheses in organizational settings, and distribute their findings by publishing in academic journals. I/O psychology is based on the scientist-practitioner model. In other words, while the science part deals with understanding how and why things happen at work, the practitioner side takes a data-driven approach to understand organizational problems and to apply these findings to solving these specific problems facing the organization. While practitioners may learn about the most recent research findings by reading the journals that publish these results, some conduct their own research in their own companies, and some companies employ many I/O psychologists. Google is one company that collects and analyzes data to deal with talent-related issues. Google uses an annual Googlegeist (roughly translating to the spirit of Google) survey to keep tabs on how happy employees are. When survey results as well as turnover data showed that new mothers were twice as likely to leave the company as the average employee, the company made changes in its maternity leave policy and mitigated the problem (Manjoo, 2013). In other words, I/O psychologists both contribute to the science of workplace behavior by generating knowledge and solve actual problems organizations face by designing the workplace recruitment, selection, and workforce management policies using this knowledge. While the scientist-practitioner model is the hoped-for ideal, not everyone agrees that it captures the reality. Some argue that practitioners are not always up to date about what scientists know and, conversely, that scientists do not study what practitioners really care about often enough (Briner & Rousseau, 2011). At the same time, consumers of research should be wary, as there is some pseudo-science out there. The issues related to I/O psychology are important to organizations, which are sometimes willing to pay a lot of money for solutions to their problems, with some people trying to sell their most recent invention in employee testing, training, performance appraisal, and coaching to organizations. Many of these claims are not valid, and there is very little evidence that some of these products, in fact, improve the performance or retention of employees. Therefore, organizations and consumers of I/O-related knowledge and interventions need to be selective and ask to see such evidence (which is not the same as asking to see the list of other clients who purchased their products!). The U.S. Department of Labor estimates that I/O psychology as a field is expected to grow 26% by the year 2018 (American Psychological Association, 2011) so the job outlook for I/O psychologists is good. Helping organizations understand and manage their workforce more effectively using science-based tools is important regardless of the shape of the economy, and I/O psychology as a field remains a desirable career option for those who have an interest in psychology in a work-related context coupled with an affinity for research methods and statistics. If you would like to refer to yourself as a psychologist in the United States, then you would need to be licensed, and this requirement also applies to I/O psychologists. Licensing requirements vary by state (see www.siop.org for details). However, it is possible to pursue a career relating to I/O psychology without holding the title psychologist. Licensing requirements usually include a doctoral degree in psychology. That said, there are many job opportunities for those with a master’s degree in I/O psychology, or in related fields such as organizational behavior and human resource management. Academics and practitioners who work in I/O psychology or related fields are often members of the Society for Industrial and Organizational Psychology (SIOP). Students with an interest in I/O psychology are eligible to become an affiliated member of this organization, even if they are not pursuing a degree related to I/O psychology. SIOP membership brings benefits including networking opportunities and subscriptions to an academic journal of I/O research and a newsletter detailing current issues in I/O. The organization supports its members by providing forums for information and idea exchange, as well as monitoring developments about the field for its membership. SIOP is an independent organization but also a subdivision of American Psychological Association (APA), which is the scientific organization that represents psychologists in the United States. Different regions of the world have their own associations for I/O psychologists. For example, the European Association for Work and Organizational Psychology (EAWOP) is the premiere organization for I/O psychologists in Europe, where I/O psychology is typically referred to as work and organizational psychology. A global federation of I/O psychology organizations, named the Alliance for Organizational Psychology, was recently established. It currently has three member organizations (SIOP, EAWOP, and the Organizational Psychology Division of the International Association for Applied Psychology, or Division 1), with plans to expand in the future. The Association for Psychological Science (APS) is another association to which many I/O psychologists belong. Those who work in the I/O field may be based at a university, teaching and researching I/O-related topics. Some private organizations employing I/O psychologists include DDI, HUMRRO, Corporate Executive Board (CEB), and IBM Smarter Workforce. These organizations engage in services such as testing, performance management, and administering attitude surveys. Many organizations also hire in-house employees with expertise in I/O psychology–related fields to work in departments including human resource management or “people analytics.” According to a 2011 membership survey of SIOP, the largest percentage of members were employed in academic institutions, followed by those in consulting or independent practice, private sector organizations, and public sector organizations (Society for Industrial and Organizational Psychology, 2011). Moreover, the majority of respondents (86%) were not licensed. The field of I/O psychology is almost as old as the field of psychology itself. In order to understand any field, it helps to understand how it started and evolved. Let’s look at the pioneers of I/O psychology and some defining studies and developments in the field (see Koppes, 1997; Landy, 1997). The term “founding father” of I/O psychology is usually associated with Hugo Munsterberg of Harvard University. His 1913 book on Psychology and Industrial Efficiency, is considered to be the first textbook in I/O psychology. The book is the first to discuss topics such as how to find the best person for the job and how to design jobs to maintain efficiency by dealing with fatigue. One of his contemporaries, Frederick Taylor, was not a psychologist and is considered to be a founding father not of I/O psychology but of scientific management. Despite his non-psychology background, his ideas were important to the development of the I/O psychology field, because they evolved at around the same time, and some of his innovations, such as job analysis, later became critically important aspects of I/O psychology. Taylor was an engineer and management consultant who pioneered time studies where management observed how work was being performed and how it could be performed better. For example, after analyzing how workers shoveled coal, he decided that the optimum weight of coal to be lifted was 21 pounds, and he designed a shovel to be distributed to workers for this purpose. He instituted mandatory breaks to prevent fatigue, which increased efficiency of workers. His book Principles of Scientific Management was highly influential in pointing out how management could play a role in increasing efficiency of human factors. Lillian Gilbreth was an engineer and I/O psychologist, arguably completing the first Ph.D. in I/O psychology. She and her husband, Frank Gilbreth, developed Taylor’s ideas by conducting time and motion studies, but also bringing more humanism to these efforts. Gilbreth underlined the importance of how workers felt about their jobs, in addition to how they could perform their jobs more efficiently. She was also the first to bring attention to the value of observing job candidates while they performed their jobs, which is the foundation behind work sample tests. The Gilbreths ran a successful consulting business based on these ideas. Her advising of GE in kitchen redesign resulted in foot-pedal trash cans and shelves in refrigerator doors. Her life with her husband and 12 kids is detailed in a book later made into a 1950 movie, Cheaper by the Dozen, authored by two of her children. World War I was a turning point for the field of I/O psychology, as it popularized the notion of testing for placement purposes. During and after the war, more than 1 million Americans were tested, which exposed a generation of men to the idea of using tests as part of selection and placement. Following the war, the idea of testing started to take root in the private industry. American Psychological Association President Robert Yerkes, as well as Walter Dill Scott and Walter Van Dyke Bingham from the Carnegie Institute of Technology (later Carnegie Mellon University) division of applied psychology department were influential in popularizing the idea of testing by offering their services to the U.S. Army. Another major development in the field was the Hawthorne Studies, conducted under the leadership of Harvard University researchers Elton Mayo and Fritz Roethlisberger at the Western Electric Co. in the late 1920s. Originally planned as a study of the effects of lighting on productivity, this series of studies revealed unexpected and surprising findings. For example, one study showed that regardless of the level of change in lighting, productivity remained high and started worsening only when it was reduced to the level of moonlight. Further exploration resulted in the hypothesis that employees were responding to being paid attention to and being observed, rather than the level of lighting (called the “Hawthorne effect”). Another study revealed the phenomenon of group pressure on individuals to limit production to be below their capacity. These studies are considered to be classics in I/O psychology due to their underlining the importance of understanding employee psychology to make sense of employee behavior in the workplace. Since then, thousands of articles have been published on topics relating to I/O psychology, and it is one of the influential subdimensions of psychology. I/O psychologists generate scholarly knowledge and have a role in recruitment, selection, assessment and development of talent, and design and improvement of the workplace. One of the major projects I/O psychologists contributed to is O*Net, a vast database of occupational information sponsored by the U.S. government, which contains information on hundreds of jobs, listing tasks, knowledge, skill, and ability requirements of jobs, work activities, contexts under which work is performed, as well as personality and values that are critical to effectiveness on those jobs. This database is free and a useful resource for students, job seekers, and HR professionals. Findings of I/O psychology have the potential to contribute to the health and happiness of people around the world. When people are asked how happy they are with their lives, their feelings about the work domain are a big part of how they answer this question. I/O psychology research uncovers the secrets of a happy workplace (see Table 2). Organizations designed around these principles will see direct benefits, in the form of employee happiness, well-being, motivation, effectiveness, and retention. Table 2. Designing Work for Happiness: Research Based Recommendations. Based on research summarized in Erdogan et al., 2012. We have now reviewed what I/O psychology is, what I/O psychologists do, the history of I/O, associations related to I/O psychology, and accomplishments of I/O psychologists. Those interested in finding out more about I/O psychology are encouraged to visit the outside resources below to learn more. Video: An introduction to I/O Psychology produced by the Society for Industrial and Organizational Psychology. If your organization is approached by a company stating that it has an excellent training program in leadership, how would you assess if the program is good or not? What information would you seek before making a decision? After reading this module, what topics in I/O psychology seemed most interesting to you? How would an I/O psychologist go about establishing whether a selection test is better than an alternative? What would be the advantages and downsides of pursuing a career in I/O psychology? An effect in which individuals change or improve some facet of their behavior as a result of their awareness of being observed. A series of well-known studies conducted under the leadership of Harvard University researchers, which changed the perspective of scholars and practitioners about the role of human psychology in relation to work behavior. Scientific study of behavior in organizational settings and the application of psychology to understand work behavior. A vast database of occupational information containing data on hundreds of jobs. The dual focus of I/O psychology, which entails practical questions motivating scientific inquiry to generate knowledge about the work-person interface and the practitioner side applying this scientific knowledge to organizational problems. A professional organization bringing together academics and practitioners who work in I/O psychology and related areas. It is Division 14 of the American Psychological Association (APA). Preferred name for I/O psychology in Europe. Briner, R. B., & Rousseau, D. M. (2011). Evidence-based I-O psychology: Not there yet. Industrial and Organizational Psychology, 4, 3–22. Erdogan, B., Bauer, T. N., Truxillo, D. M., & Mansfield, L. R. (2012). Whistle while you work: A review of the life satisfaction literature. Journal of Management, 38, 1038–1083. 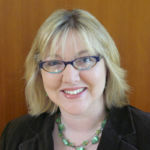 Talya N. Bauer (Phd, Purdue University), Cameron Professor of Management at Portland State University studies relationships at work draws on fairness and relational theories and encompasses recruitment, selection, onboarding, and key organizational relationships such as those with leaders and coworkers. 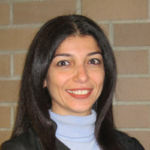 She was Editor of the Journal of Management and is a Fellow of SIOP and APS. Industrial/Organizational (I/O) Psychology by Berrin Erdogan and Talya N. Bauer is licensed under a Creative Commons Attribution-NonCommercial-ShareAlike 4.0 International License. Permissions beyond the scope of this license may be available in our Licensing Agreement.